What Is Bradley Cooper's Most Memorable Role? 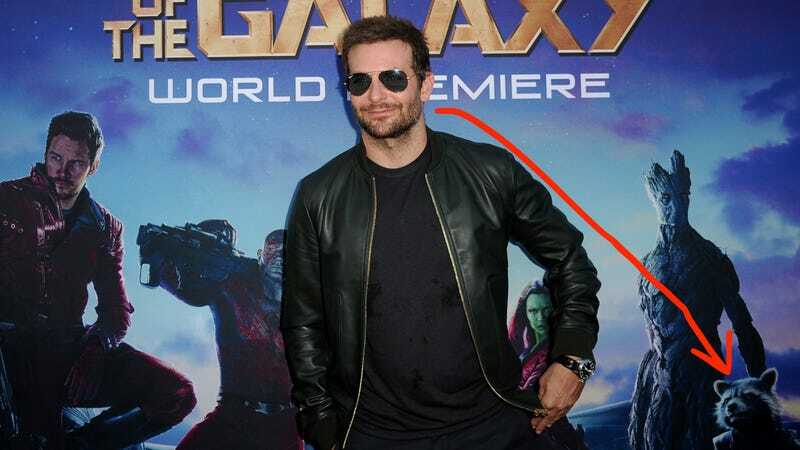 A star—Bradley Cooper—is soon to be born. And he’s not just as an actor, not just a Lady Gaga discoverer or People’s “un-fuckable” 2011 Sexiest Man (his words), not just a millionaire dedicated to perpetuating the myth that he’s a perennial “underdog... not a leading man” (once again, straight from his mouth.) No. With the release of A Star is Born, an auteur has been born. But what’s his most memorable role? Is it his superb voice acting as Rocket, the sassy raccoon from the Guardians of the Galaxy franchise? Or is it something else? He’s also been in: Silver Linings Playbook, Limitless, The Hangover, and The A-Team. Which Bradley Cooper role is his most memorable? You decide.